(Al Hartmann | The Salt Lake Tribune) Over 14,000 people attend the 2018 Silicon Slopes Tech Summit at the Salt Lake Convention Center, Thursday Jan. 18. Nearly 14,000 people were at the Salt Palace Convention Center when Dave Elkington announced Thursday that Microsoft was investing $35 million into his Provo-based tech company, InsideSales.com. The size of both the investment and the audience reflected the growing stature of Silicon Slopes, the nickname for the high-tech community in northern Utah and southern Salt Lake counties. “That’s one of the largest private investments Microsoft has ever made,” boasted Elkington. The companies’ partnership, begun in 2015, promotes the development of artificial intelligence to help clients accelerate sales and improve customer satisfaction. He revealed the investment at the opening session of Silicon Slopes Tech Summit 2018, a two-day meeting that is attracting almost three times as many participants as just last year. (Al Hartmann | The Salt Lake Tribune) Dave Elkington, InsideSales.com, CEO speaks in the opening session to over 14,000 at the 2018 Silicon Slopes Tech Summit at the Salt Lake Convention Center Thursday Jan. 18. 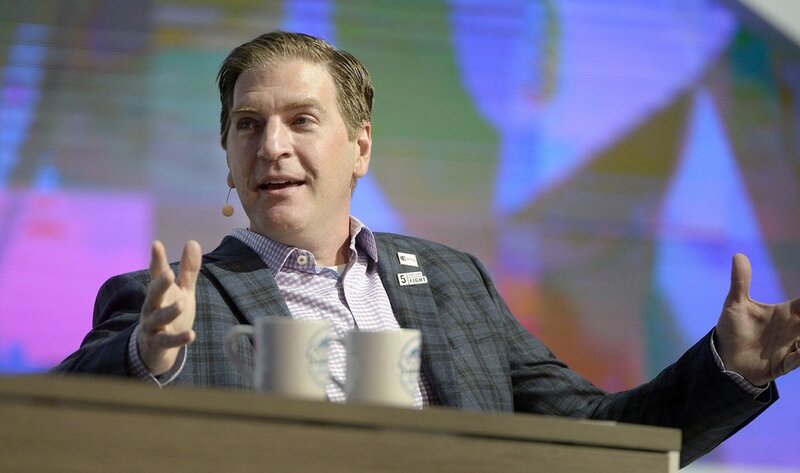 Elkington was one of eight local tech company CEOs who kicked off the convention, individually walking onto a Salt Palace stage accompanied by blaring music, to answer questions from Betts about the status of Utah’s tech industry. While there were a few concerns, the CEOs generally were high on what Utah has to offer and the direction things are going. 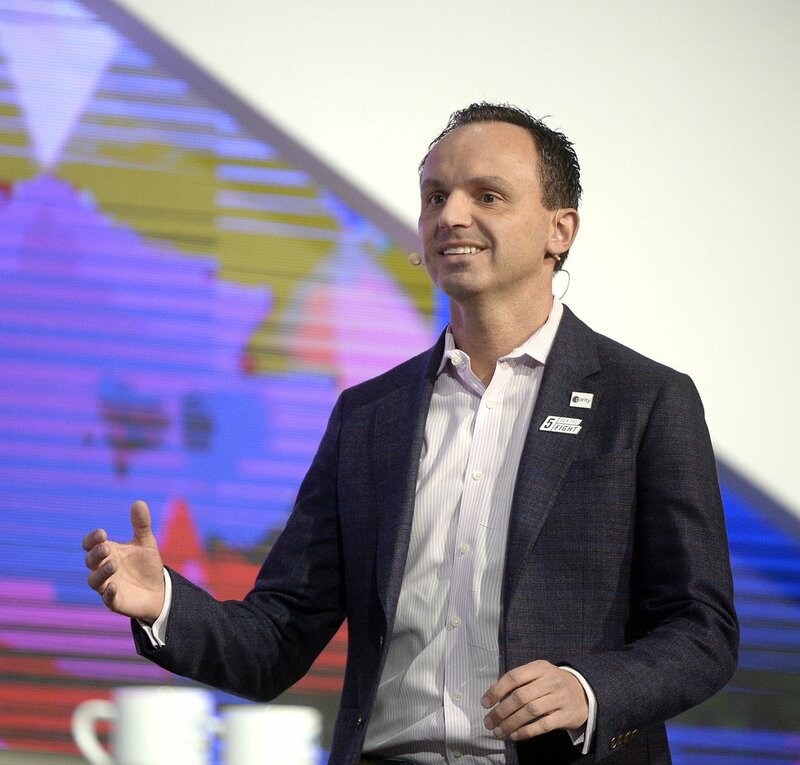 (Al Hartmann | The Salt Lake Tribune) Marcus Liassides, Sorenson Media, CEO speaks in the opening session to over 14,000 at the 2018 Silicon Slopes Tech Summit at the Salt Lake Convention Center Thursday Jan. 18. “I’ve set up businesses in three other countries. It was nothing like here,” said Marcus Liassides, an Englishman who is now president and CEO of Sorenson Media, a software company that delivers high-quality video online and to mobile devices. Based in Taylorsville, the company has doubled its workforce in the past year and now has nine offices overseas, he said. Pluralsight CEO Aaron Skonnard said he reached a similar conclusion when looking for a new headquarters complex for his company. It had outgrown offices in Lehi and Farmington as it developed video training courses for software developers, information technology administrators and other computer-savvy professionals. “We had lots of choices of places where we could go, but it was clear — this is the place,” he said, obviously enjoying the response of the crowd that understood his play on the words Brigham Young allegedly uttered before leading Mormon pioneers into the Salt Lake Valley in 1847. 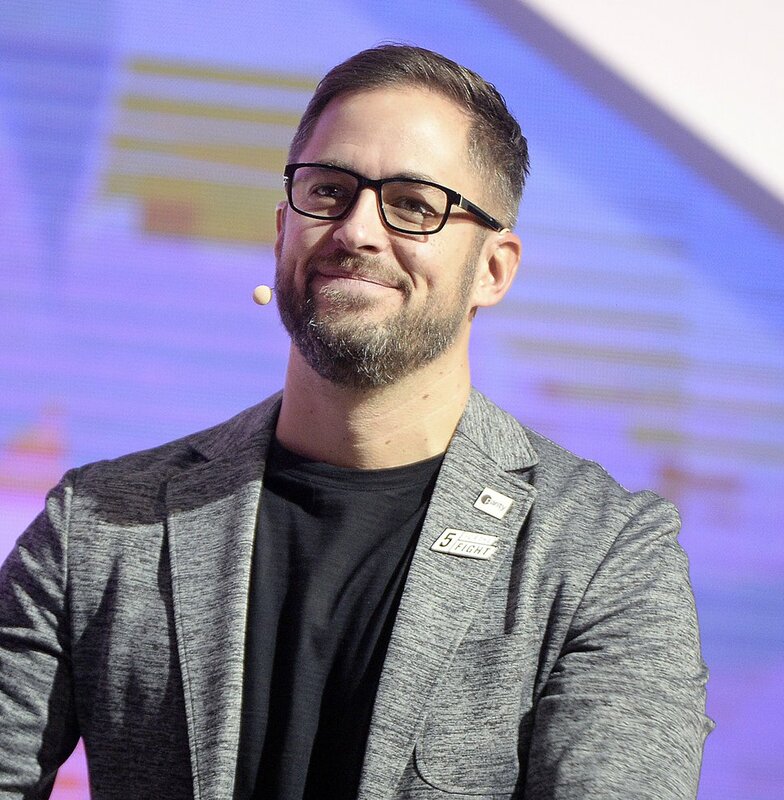 Having added 477 employees in 217, Skonnard said Pluralsight “will be building a campus that will last for decades,” developing products and working through its philanthropic foundation to help people in marginalized communities have access to technology. (Al Hartmann | The Salt Lake Tribune) Aaron Skonnard, Pluralsight, CEO speaks in the opening session to over 14,000 at the 2018 Silicon Slopes Tech Summit at the Salt Lake Convention Center Thursday Jan. 18. While many in the large crowd were Utah natives, a question from Qualtrics CEO Ryan Smith illustrated that almost half were transplants. His point was echoed by Carine Clark, CEO of Banyon, which develops communications systems to help healthcare providers connect with patients online. She cited statistics showing that Utah will create 1.1 million new technology jobs by 2024, but only 45 percent of those positions will be filled by graduates of the educational pipeline provided by Utah’s universities. 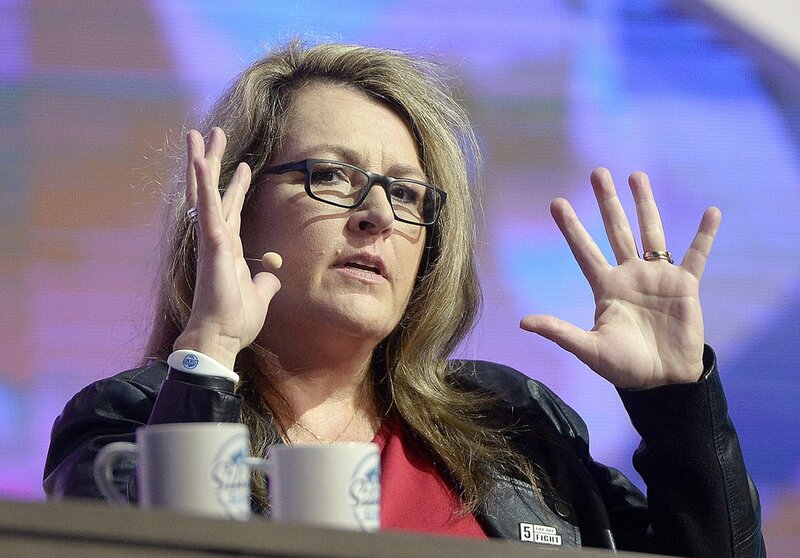 (Al Hartmann | The Salt Lake Tribune) Carine Clark, Banyan, CEO speaks in the opening session to over 14,000 at the 2018 Silicon Slopes Tech Summit at the Salt Lake Convention Center Thursday Jan. 18. Two CEOs, Josh James from software supplier Domo and Todd Pedersen from home-security company Vivint, offered advice to the numerous students and young professionals in the audience. Pedersen said it’s a mistake to have a goal of simply making money. “Whatever business you’re getting into, whatever concept you have, has to be customer-focused: you have to have the best product that makes the biggest difference in a person’s life,” he said.